At T4G, we use human-centered design to help us better understand the people we design for. Regardless of how large and complex a technical solution is, it eventually ends up in the hands of real people. This means the most important aspect of any solution is envisioning, designing, and building it with real users in mind. To do this, we start with the first, and most important, part of any human-centered process: understanding. Through understanding comes insight and through insight comes innovation! How do we begin to understand? We use three key tools: Observe, Engage, and Immerse. And in my experience, there is simply no substitute for first-hand experience, aka immersion. 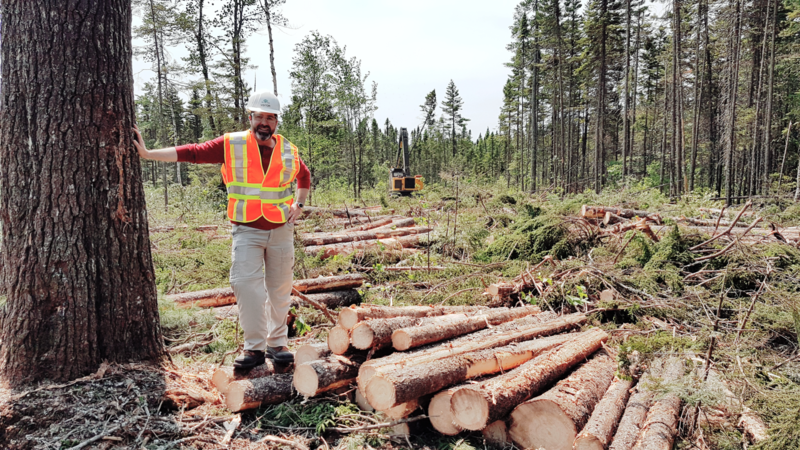 Over the past couple years, I’ve found myself 20 kilometers down a remote New Brunswick logging road trying to uncover the challenges of using technology in the most rugged of locales. I’ve spent a day working as a courier driver’s “assistant”, learning how to juggle packages and hand-held devices at the same time. I’ve been strapped into sensors, poked and prodded by physiotherapists. All in the name of understanding the people we’re designing for. Through all these experiences, I gained a deeper level of understanding – certainly more than I would have gotten if I’d stayed safely behind my desk – of the circumstances and needs of the people who will be using the products we design. Two years ago, I was fortunate to be part of the team who delivered the InStride app for Halifax based start-up OrthoMX. InStride is an app for orthopedic patients, clinicians, and physicians. InStride set us an intriguing challenge: How might we put specialized physiotherapy equipment in the hands of patients, so caregivers can monitor their progress without the need to visit a clinic? Clinic visits are expensive and inconvenient. Especially for patients with mobility challenges. This app would allow patients to do routine “walks” at home and transmit the data back to their caregivers to continue monitoring their progress. It also provided feedback to the patient, so they could answer one critical question: “Am I getting better?”. To solve this challenge, we assembled a diverse team of experts in the fields of user experience, IOT, mobile development, and advanced mathematics. To complement our team, we worked with one of Canada’s leading orthopedic surgeons and an experienced physiotherapist. Patient privacy prevented us from talking to actual patients, but fortunately, this was a situation in which that was not essential. All we needed was a person who could walk in a straight line. Deemed qualified, I paid a visit to the clinic of our team’s physiotherapist and experienced the current process first hand. The first snag presented itself early on: the device had to be placed on the lower back to properly analyze my “walk”. This experience highlighted some key user experience challenges. The real “ah-ha!” moment came when I realized I couldn’t see the screen; this made on-screen visual cues useless. In addition, we needed a way for the user to initiate the test and get the phone properly placed before starting. The realization changed the approach and forced us to use sound as our communication tool. I’ll be honest and say we felt foolish when this came to light. However, I think this perfectly illustrates the value of taking time to fully immerse yourself in the experience you’re trying to create. Another great example came during my brief time as a courier driver’s assistant. We were charged with replacing an end-of-life handled platform that the drivers used to manage their daily work. In addition to a software upgrade, they were also getting a hardware upgrade. As soon as I got in the cab, the driver grabbed his old hand-held and a well-used Bic pen. He proceeded to show me the old software using the Bic pen. Intrigued, I inquired about the pen. He told me the devices originally came with a stylus. Despite having hardware with a touch screen, the old software had been designed for the stylus. Minuscule buttons and check boxes made it impossible to use with a finger. It didn’t take long for me to figure out what happened to the stylus. 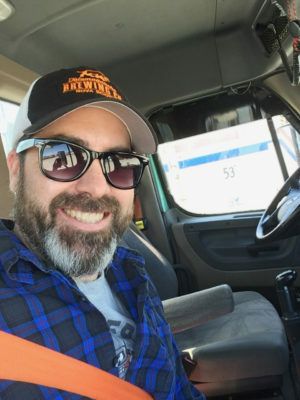 Working one-handed, carrying packages, in and out of doors, and hopping in and out of the truck hundreds of times a day (literally) – that stylus was gone within a month. That software had been in use for a decade. When I returned to the office, I received a package with the new hardware. Guess what I found attached by a flimsy plastic spring? Yep, a stylus. Needless to say, the stylus was not even considered during the redesign. I firmly believe understanding is a full-contact sport. You need to get out from behind your desk and experience things first hand. Observation is good, engagement is better, but immersion is the best. Shoshin is a word from Zen Buddhism meaning “beginner’s mind.” It refers to having an attitude of openness, eagerness, and lack of preconceptions when studying a subject, even when studying at an advanced level, just as a beginner would. Understanding is all about asking questions. Even if something appears obvious, ask anyway. Techniques like “The Five Whys” which are great ways to get to the root of a problem. This allows you to kill two birds at once: Immerse AND observe. It also provides a reference point you can return to and re-immerse yourself again and again. 4. Bring a prototype, if you have one. It’s been said that a prototype is worth a thousand meetings. Testing a prototype in real situations is essential. Even if that prototype is a sketch on a piece of paper, walking through it in situation will help to validate the proposed solution (or even better – invalidate it!) and provide essential insights. If possible, bring along a teammate to do some observation while you are immersing yourself in the experience. They can help document the experience and provide another set of eyes to catch things you may miss. Brian believes the world would be a better place if people dared to transform. Brian has more than 10 years’ experience in web design, development, and user experience design. As a Strategist in T4G’s Innovation Lab, Brian uses design thinking and other human-centered design tools to help clients understand the true needs of their customers.